One again, the Mosquito Alert program prepares the campaign for public support and citizen collaboration in vigilance and control of the tiger mosquito in Spain. If someone sees a tiger mosquito or breeding site they only have to take a picture and send it using the Mosquito Alert app. But who receives these photos? Who are the experts who decide if a photo is useful or not? 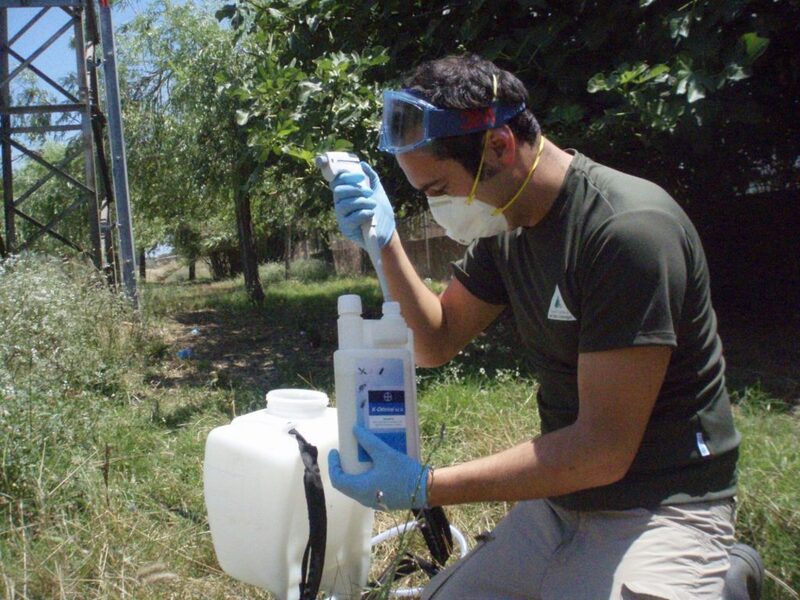 Míkel Bengoa is a member of the team of expert validators on the Mosquito Alert platform. 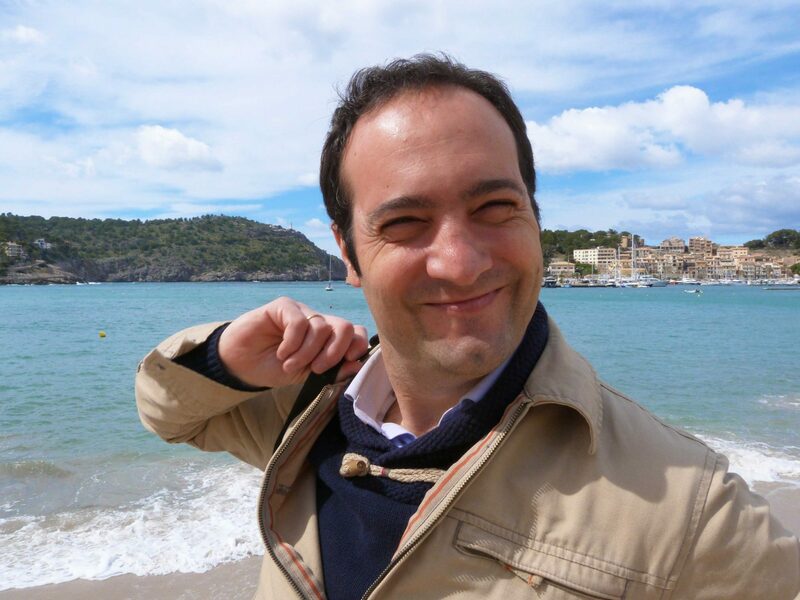 Born in Donosti, he obtained his degree in Biology from the University of Navarra. His passion for insects since a child led him to specialize in pest control and to study the tiger mosquito in depth. Today, Míkel completes his doctorate at the University of Zaragoza. 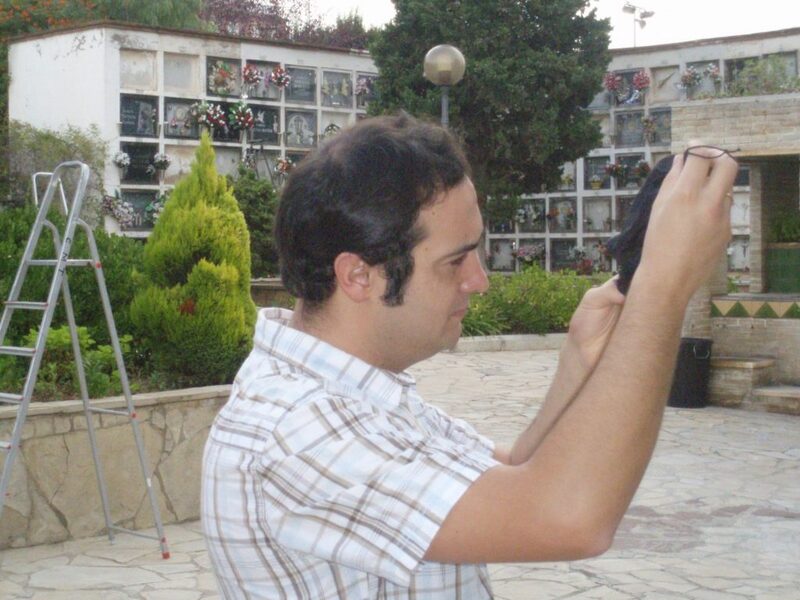 Míkel Bengoa has finished his PhD at the University of Zaragoza. After finishing my undergraduate degree I began working in the urban pest control department of a research center. At that center I carried out studies on the effectiveness of insecticide products and had the opportunity to breed a large variety of insects which are considered to be pests. That is when I began to get interested in mosquitos, to the point that I really wanted to dig deeper in the relationship between insects and insecticides. That is when I began my doctoral thesis on a mosquito which had just arrived to Spain and was also capable of carrying diseases, the tiger mosquito. 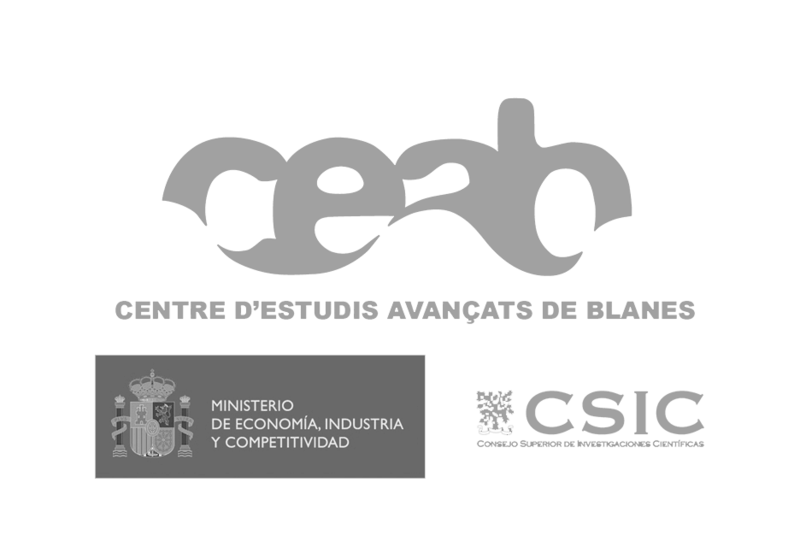 Right away I got in contact with the two most important experts on the tiger mosquito in Spain, Dr. Javier Lucientes and Dr. Roger Eritja, who supported me from the beginning and were willing to be my thesis directors. My dissertation, titled “Application of adulticides for the control of Aedes albopictus,” attempts to answer a number of questions about insecticide treatments, including how to carry them out and any resistances which the mosquitos have developed. You currently live in Mallorca. Was it due to your interest in mosquitos that you went there? I had always wanted to live in Mallorca and for work-related reasons I found the perfect excuse to move there. When the tiger mosquito was detected for the first time in Mallorca in 2012, the following year I decided to take a risk set up an environmental consultancy dedicated exclusively to to the treatment of this mosquito in Mallorca. The initial idea was to provide advice and carry out studies on the spread of the mosquito throughout the Balearic archipelago. But in the end I had to adapt to the needs of the municipalities, which didn’t want only traps but also needed integrative control of the pest. What is the current situation of the tiger mosquito in the Balearic Islands? The tiger mosquito is expanding its range just like in the rest of Spain. Keep in mind that the main industry in the Balearic Islands is tourism and in these environments the tiger mosquito can greatly affect the quality of the services offered. There are ever more municipalities where we have detected the mosquitos and more people are asking for my consulting services in order to be rid of the the problem of the mosquito bites. Controlling the breeding sites is crucial to reduce the tiger mosquito. Since the beginning of Atrapa el Tigre and later Mosqutio Alert you have been a part of the team of expert validators. What do you like most about this work? I have always liked getting involved in new projects and continuing research, and for that reason when it was proposed to me to participate in a new citizen science platform in which I had to look at photos of mosquitos, I didn’t doubt it even for a second. One of the things that I like about being a validator is reading the comments that the participants leave in the observations. These comments allow us a better understanding of the problems associated with this mosquito, since the scientific vision that many experts have at times doesn’t allow us to see the whole problem. Statistics show us that year after year the photos sent by citizens are improving, allowing us to perfectly recognize the characteristics of the tiger mosquito. I suppose that this makes the work of validation much easier. When I validate observations the quality of the photos and the patience of the people who send this information which is so useful for Mosquito Alert never ceases to surprise me. These days, the photos which arrive are not only of better quality, but they also allow easier identification of the species. For us the white line on the thorax is crucial in order to carry out an identification with certainty; for this reason I encourage all users to look for this morphological characteristic. There is another factor which has contributed to the improvement of the photos: cameras and mobile phones have improved a lot, as well as the information technology used to process the photos en masse. As as side note I can tell you that one day we were asked to validate a group of old photos which had never been validated, and the difference in the quality of the photos compared to what we receive now was utterly stunning! Currently the Mosquito Alert app allows you to send messages to users. On many occasions the validators have sent very interesting comments about the findings made by the people. Do you think that this system is helping to improve knowledge about the insects? We always find interesting photos or comments which require a targeted response. Now it is easier to communicate with the users, not only to provide guidance on the morphological or biological characteristics of the tiger mosquito, but also to encourage them and promote use of the app. This way, with this communicative pathway with the participants, the platform has become much more dynamic and this motivates them to participate even more. Cementeries have a lot of breeding sites. Do you feel that the general public is sufficiently informed about the problems associated with the tiger mosquito and the measures that need to be taken? What can be improved? In general, there is a lot of information available that is disseminated properly. However, there is always a part of the population which is impossible to get to. People don’t breed tiger mosquitos because they want to, they do it by mistake. Citizen awareness is an important part of my work as a consultant. We try to make our message heard by the public as a whole through talks, workshops in schools which are always a total success, and we use the social networks set up by the municipalities. But there is much work to be done. I have even found sometimes that the same people that come to my informative talks have breeding sites in their gardens. Recently, a person in Galicia found a mosquito species which had never been found there before. In this case the validators had a fundamental role since they identified the species to see that it was not a tiger mosquito, but Aedes vittatus. Can you tell us about any other interesting finding or anecdotal photo which you have validated? There was a batch of photos that came from the area of Girona where small white, very well defined lines at the bottom of the thorax could be seen, something which is not very common. We discussed it among the validators, but it did not turn out to be anything important, since it was simply that the specimens were very young and that the photos were very well done with a lot of detail. It must be said that sometimes, as experts, we also make some mistakes. One time we “missed” a Culiseta longiareolata which has an appearance very similar to the tiger mosquito. It is for such reasons that working as a team is so important. Three validators work on each photo to identify the mosquito species and this helps to weed out potential errors. As a pest control professional, do you think that Mosquito Alert is an effective system to achieve greater control of the tiger mosquito in Spain? The Mosquito Alert platform is a very powerful tool, which can be used to great extent. These days, in the world of pest control, if you don’t work with geographical information systems, you’re playing a losing game since identifying the location of populations of invasive species like the tiger mosquito on the map is the basis for designing an effective management strategy. For this reason, citizen reports are a very valuable source of information. In the case of Mosquito Alert we usually carry out the validations quite quickly and the information appears right away on the maps. This way, the data collected by citizens is added to the traditional data collection methods. In my case, data from the project have been complementary to data which I obtain using oviposition traps. In addition to locating areas within a town where there are the most problems with the tiger mosquito, the platform also helps to improve citizen awareness about the need to eliminate breeding sites. For this reason, I encourage all pest control companies and cities and towns to use and promote the app.